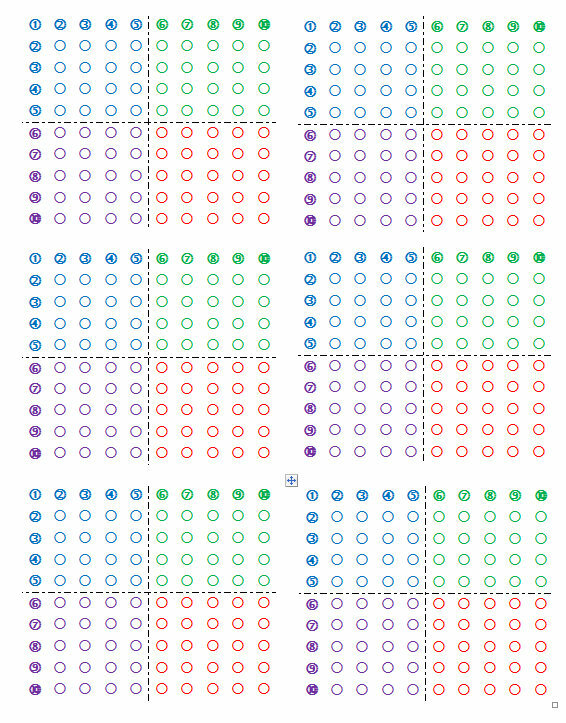 The fold-able array below has 10 x 10 = 100 dots. Each of the four colored parts is 5 x 5 =25. 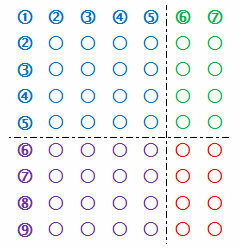 The product of two numbers is shown as groups of 5 plus some extra. Use the five times multiplication table and add the extra’s. It will help children when you fold the numbers that are not used to the back. What is 6 x 8? It is 6 rows of 8. Fold back between the 8 and 9 column, so you only see rows of 8. Fold between the 6 and 7 row, so you only see 6 rows. 5 + 3 + 1 = 9 groups of five. Nine groups of five = 45. Now add the extra red dots: 45 + 3 = 48. 45 + 3 = 48. 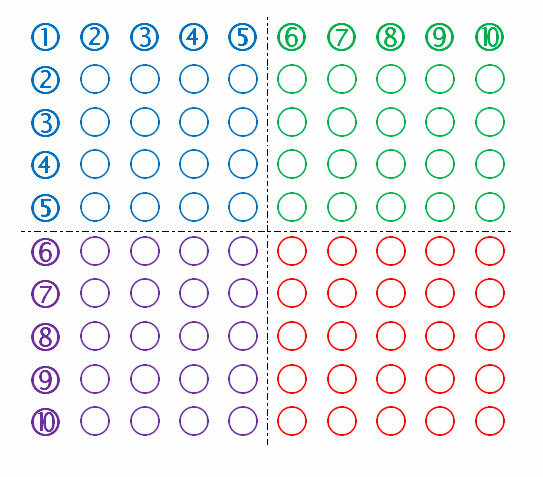 Some children like to color in or connect the groups of five dots with a line to make it easier to count the groups of five. What is 9 x 7? It is 9 rows of 7. Fold back between the 7 and 8 column, so you only see rows of 7. Fold between the 9 and 10 row, so you see 9 rows. 5 + 2 + 4 = 11 groups of five. 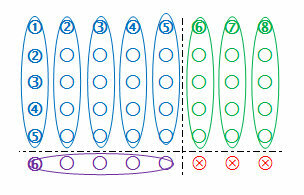 Eleven groups of five = 55. 55 + 8 = 63.